RIO DE JANEIRO, BRAZIL – While Rio de Janeiro has a rich literary tradition, with figures such as Clarice Lispector, Nelson Rodrigues, and Carlos Drummond de Andrade immortalized in bronze throughout ‘Zona Sul’ (South Zone), there is a surprising paucity of bookstores and libraries which stock English titles among their collection. For many people, the idea of sitting on a beach in Rio with a book in one hand and an ‘água de coco’ (coconut water) or caipirinha in the other is close to perfection, photo internet reproduction. 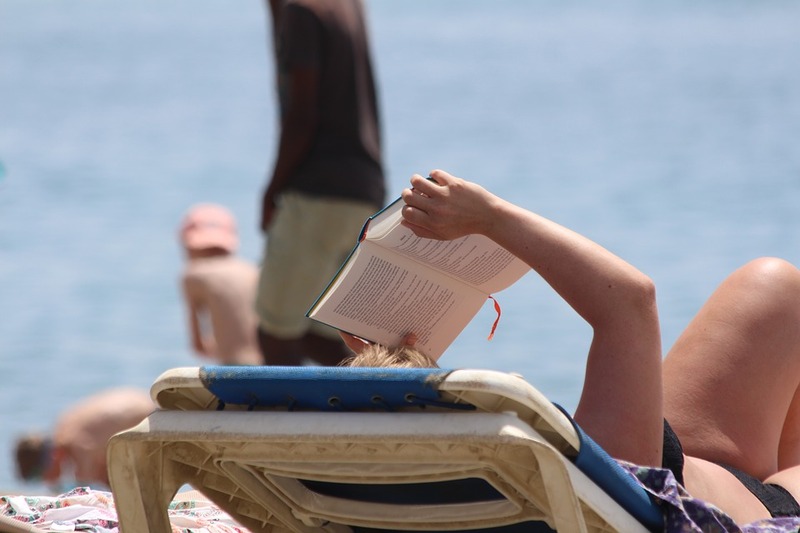 However, with a little know-how, those searching for that perfect beach read can find themselves richly rewarded. For those looking for a new book at a user-friendly bookstore complete with chic cafe, there is no better place than the Livraria da Travessa chain of bookstores dotted throughout Ipanema, Leblon, Botafogo and the city’s historic center. While Livraria da Travessa’s English section may be somewhat limited, it is surprisingly well-curated. Customers can find contemporary fiction, titles about both Rio and Brazil, and a selection of Wordsworth Classics from as little as R$14. They also have a reasonable amount of English titles in stock that can be ordered in store for a small fee. Saraiva, one of the largest bookstore chains in Brazil, rarely holds any English titles in its Rio shops, located in Copacabana and Botafogo; however, they too hold a surprising amount of English-language titles on their website, which are available for delivery in-store or to an address. SBS Livraria is another chain of bookstores with locations in Copacabana, Tijuca and Centro. While again their physical locations may not hold many English titles in stock, they have a wealth of books available online that can also be ordered in to one of their locations or to an address. Located in Barra da Tijuca, Jamer Books and Things specialize in importing books from both the UK and the US. Not only do they have thousands of titles in stock, they can also get hold of virtually any English-language book at a reasonable cost. “It can be tough to find a particular book that you’re looking for in Rio, but my advice would be to always keep your eyes open when walking around pop-up book fairs and street markets, as you never know what you might see.” comments Talita Soares, library science student. 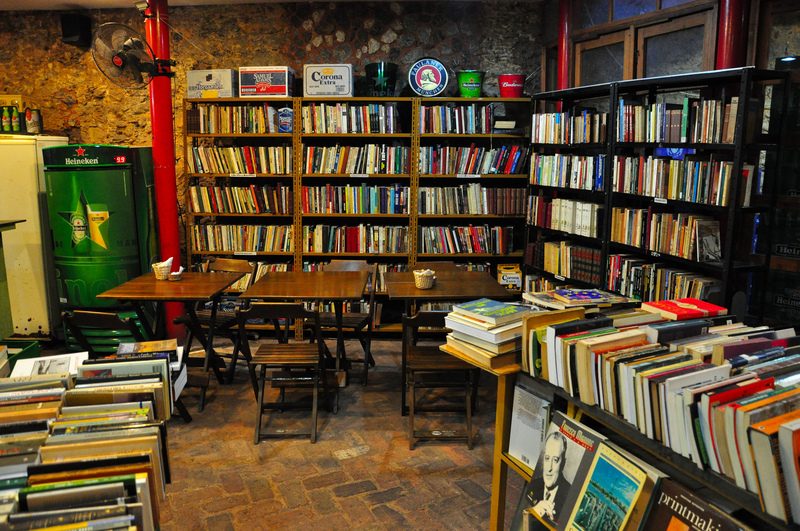 For second-hand books in English, there are a few wonderful bookstores located around Rio. Livraria Berinjela, opposite the excellent but unfortunately Portuguese-only Livraria Leonardo da Vinci, stocks a small selection of second-hand book titles in English. The staff are friendly and the experience of browsing the shelves in a basement hidden away from the busy streets of Rio’s city center is almost worth the experience alone. There are a few brilliant second-hand bookstores in Rio that also stock English titles – places where it’s easy to go in looking for one title and end up taking away a truly eclectic selection, photo courtesy of Alexandre Macieira/Riotur. Baratos da Ribeiro in Botafogo is a bookstore and record shop specializing in counter-cultural and alternative titles. They also have a small selection of books in English. As with Livraria Berinjela, this is an offbeat experience coupled with an interesting selection that makes the trip alone worthwhile. Finally, there is Livraria da Fabrica, located in Santo Cristo’s factory-turned-art-complex Fábrica Bhering. For longer term residents, there is the option of joining the IBEU – ‘Instituto Brasil-Estados Unidos’ (Brazilian-American Institute) library. R$45 per semester gives access to one of the best and largest libraries of English materials in Rio de Janeiro. They currently stock around 20,000 items, including books, audiobooks, dictionaries, DVDs, newspapers and magazines, with new titles arriving regularly, keeping the collection up to date. Several of the language schools also maintain a small book exchange, such as Caminhos Language Centre in Ipanema. “We do have a book exchange and people can come and borrow a book here, but they just have to leave a R$10 deposit that we refund once the book is returned. We get a lot of people donating books in both English and Portuguese so that people can practice both languages,” comments Bel Seixas from Caminhos Language Centre.